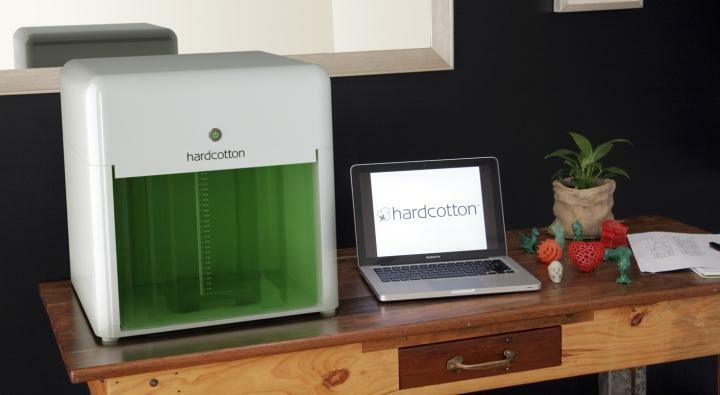 Canberra 3D printing start-up, Hardcotton, has developed what it claims is the world’s first pressure-controlled 3D printer, a device which requires minimal human interaction. Named Elemental, the device is a standard stereolithography (SLA) 3D printer in that it uses a laser system to cure photosensitive resins, but is different to other devices because it has a pressure control system to manage resin levels when an object is being built. This means that after the creation of an object’s first layer (done by curing the resin onto the surface of a removable build platform), the control systems allows the flow of material from a control chamber within the vat into the build chamber, increasing the level of resin. This process is then repeated. The point of using pressure control in Elemental’s custom-designed vat during the printing process is to allow the internal laser to cure a layer of resin without mechanical interference. Hardcotton intends to launch Elemental using Kickstarter in the third quarter of calendar 2014. It will offer units to supporters for “under $A1000,” according to a statement.